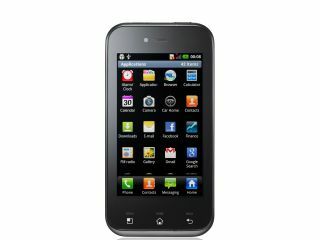 LG has finally taken the wraps off its poorly-hidden Optimus Sol, complete with Android 2.3. If the news of the Korean giant actually managing to bring a handset to market with the latest version of Android isn't enough to get you busting out the early morning bubbly (we know you all have it) then get this: it's got an OLED screen too. That's right - LG has finally brought a phone out using the next-gen screen technology, despite proclaiming less than a month ago that "OLED displays are not suitable in terms of picture quality, response time, energy consumption and contrast ratios". Anyway - onto the good stuff: the LG Optimus Sol is being touted as one of the cheapest phones with 1GHz processor around, so it will be interesting to see how much it will cost when its gets its September UK release date. LG has, like Samsung, decided to give its screen tech a mysterious name in the guise of 'Ultra AMOLED' - it's claiming that this gives the best outdoor viewing experience of any OLED phone, plus has a 'Dark UI' option to help conserve the battery. Coming with a 3.8-inch screen, LG is hoping the Optimus Sol offers a new dimension in battery management, but stating that its advanced idle state management will improve juice-guzzliness by 20-30 per cent. There's also a 5MP camera with DLNA support thrown in - and all this in a chassis that's under a centimetre thick, coming in at a pocket-friendly 9.8mm. "The Optimus Sol stands out from its competitors as the most affordable 1 GHz Android smartphone with an AMOLED display," boasted Dr. Jong-seok Park, CEO of LG Mobile, likely with a puffed out chest and an enigmatic smile. "By introducing a no-nonsense phone that boasts one of the best displays on the market, we think we have a real winner for consumers looking for a subtle but visually stunning phone." Better news for colour fans - it's not only coming in black and white (seriously, white) but Titan too. We're not sure what colour Titan is, but it sounds ace - we're looking forward to mid-September with some excitement now.